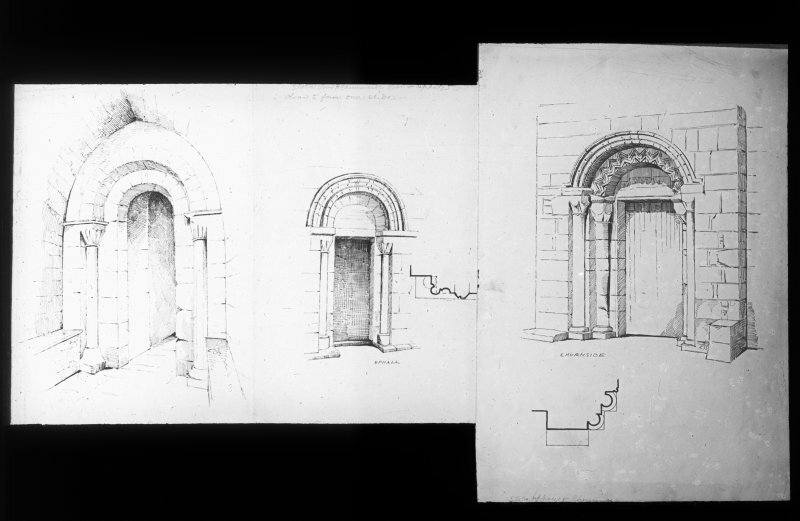 Detail drawings of doorways and section of pillar. 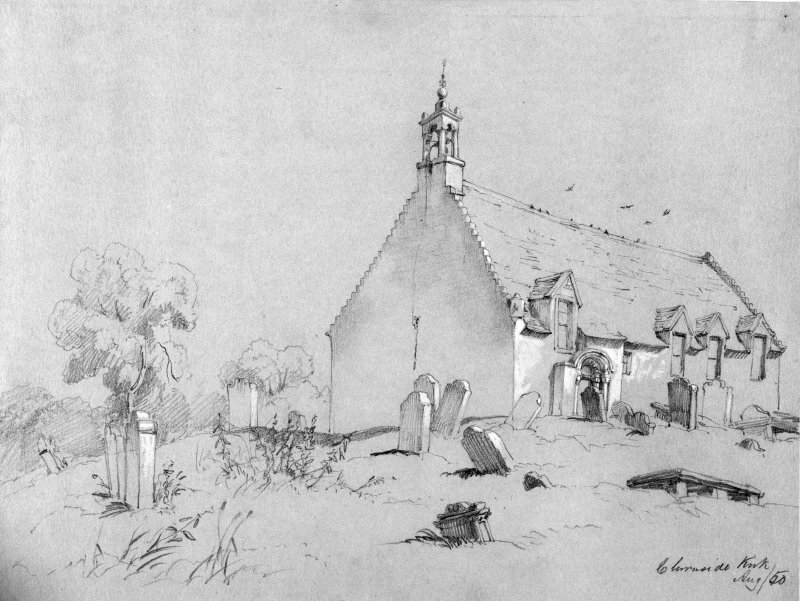 Photographic copy of drawing of Chirnside Church. 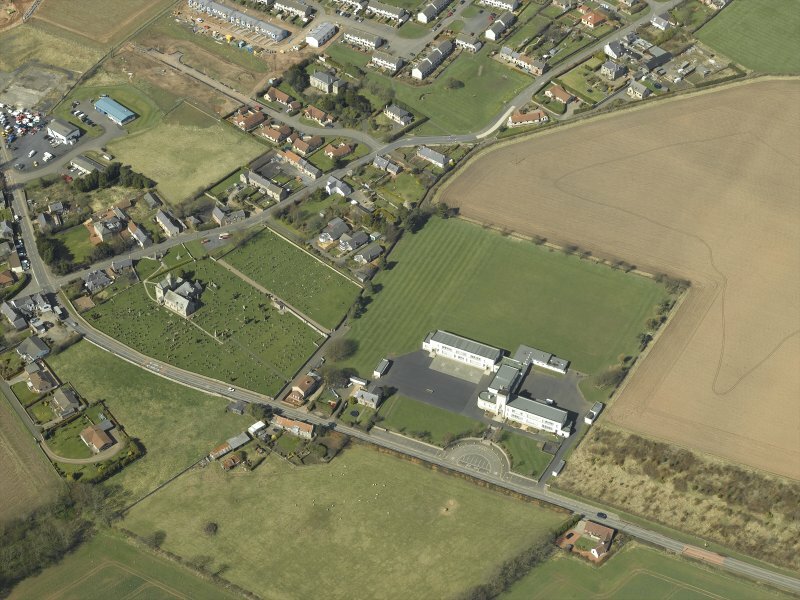 Oblique aerial view centred on the school with the church, burial ground and dovecot adjacent, taken from the N.
Oblique aerial view centred on the school with the church, burial ground and dovecot adjacent, taken from the SE. 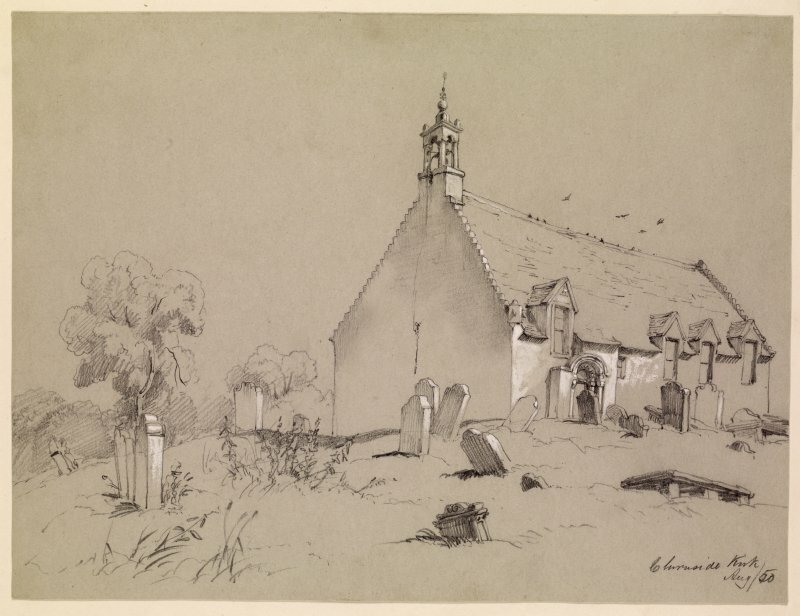 (NT 86964 56030) Chirnside church was extensively restored and altered in 1907. 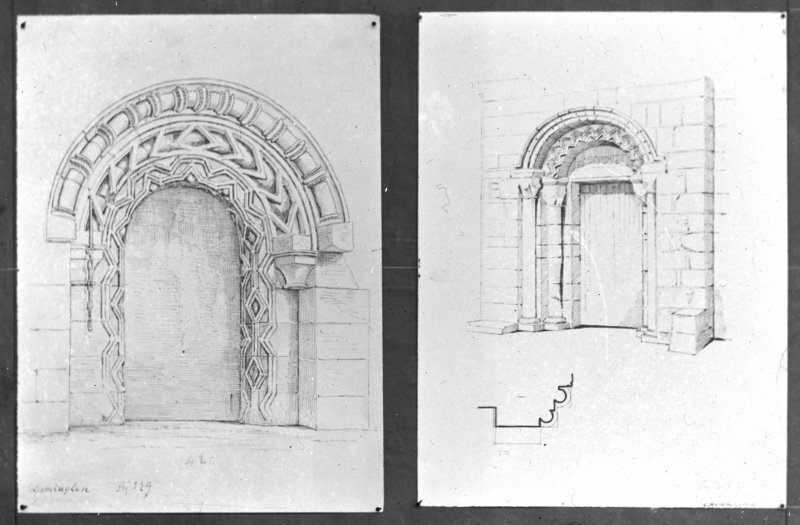 The only original feature remaining is the Norman doorway at the W end of the S wall (SDD undated). A modern stone porch has been erected over this doorway, whose style indicates that the church was probably built in the mid-12th century. 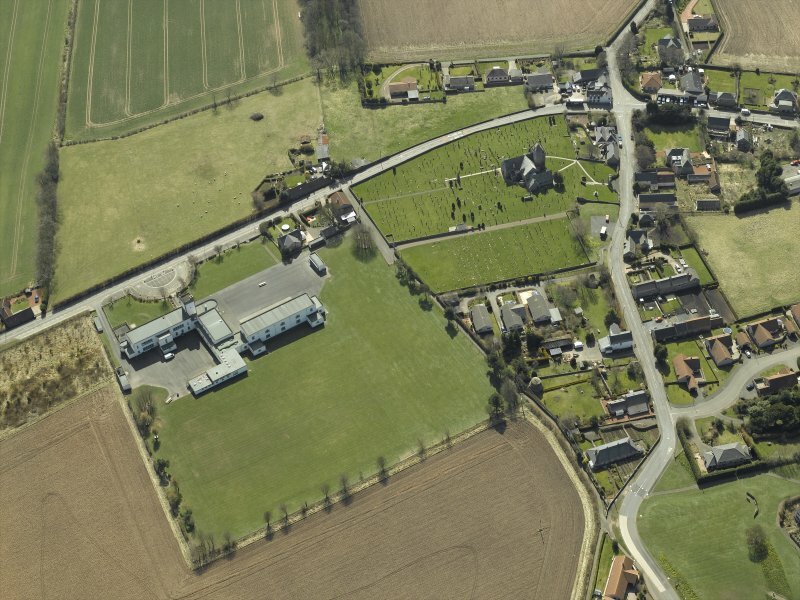 The original building was of simple Norman type, oblong on plan, c 78' x 23'. Fragmentary portions of side wells remain, probably indicating the site of a porch. There was also a vaulted W tower, which was taken down in 1750. Visited by OS (JP) 14 December 1972.